Habitat: Open fields and disturbed ground with lots of sun. Lawns. Description: This common plant has a basal rosette of leaves which vary from rounded and ovate to jagged with backward-pointing large teeth. The leaves also tend to be quite symmetrical. Although the flower bears resemblance to a few other species, this plant is easy to recognize. After pollenation the flower gives way to a fluffy round seed head. Edibility: All parts of this plant are edible. The leaves and flowers can be eaten raw or cooked. The flowers are often batter-dipped and fried. The roots can be roasted until dark brown and brittle and used to brew a strong bitter tea, almost like coffee. The same process can be used with Chicory root (a similar species) and both are said to be good tonics for the liver. Habitat: This plant grows in open sunny areas and can does quite well on lawns or in disturbed soil. Medicinal: Dandelion 'coffee', a strong, dark, bitter tea made from the roasted dandelion root, is said to be very cleansing to the liver and other internal organs. The scientific name refers to its historical medicinal use as the official remedy for just about everything. 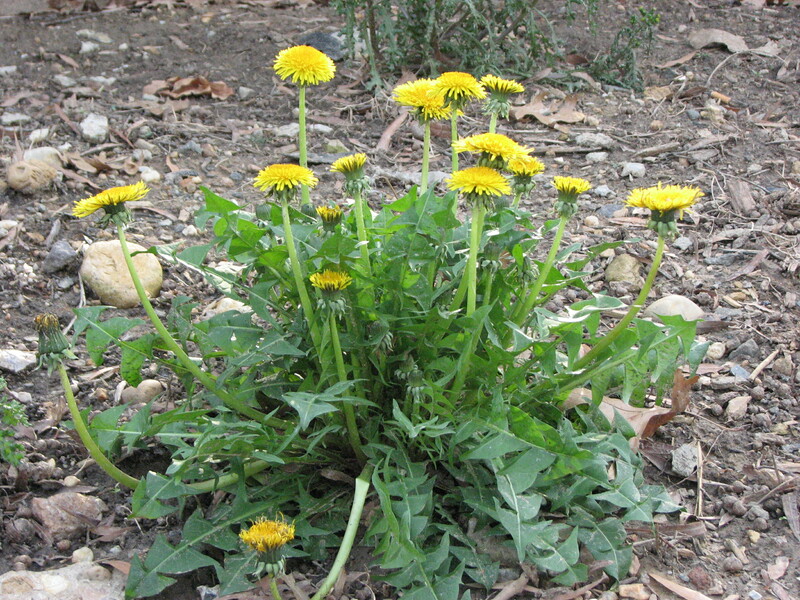 Other Notes: Dandelion grows back very easily from a broken root, and it is very difficult to pull it from the soil without the root breaking off. Therefore there is no effective way to permanently remove a patch of dandelions from an area of ground. "Weeding" may even help this plant propagate. Dandelions' survival strategy is to mature and reproduce as quickly as possible. The seeds, with their attached fluff, can travely great distances.